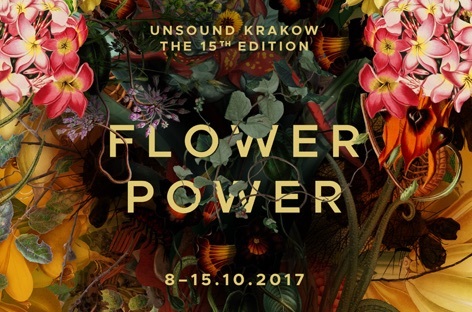 This Sunday kicks off the 15th edition of Krakow’s Unsound Festival. What started in 2003 as a few concerts of ‘advanced music’ in the city’s basement bars has grown into a globally renowned week-long extravaganza of experimental music and visual arts. This year’s theme, Flower Power, celebrates the 50th anniversary of the Summer of Love, which saw the hedonism of counterculture go hand in hand with active objection to the ruling class. It could not be more topical, as in recent years people in Poland and all over the world have been demonstrating against controversial decisions taken by their own governments. Additionally, Flower Power echoes the increasingly frightening climate change and tick-tocks of the Doomsday Clock. Many of the festival’s events will explore human relationships with nature, ecology, and the future of our planet. Unsound’s highlights include a performance by the Lithuanian artist Arturas Bumšteinas, who will present an interpretation of meteorological maps utilising wind, rain, and thunder machines. Muzeum Inżynierii will host an audiovisual exploration of Pripyat in Chernobyl’s Zone of Alienation by the Brooklyn-based James Hoff. Another discovery of the festival is the well-preserved Stalinist administration building of Nowa Huta steel mill, which will become the playground for UK’s Lee Gamble and Lanark Artefax. As always, Unsound’s legendary Forum parties’ lineup is able to melt any technohead’s heart – this year the abandoned hotel’s conference halls will give floor to such club music grands as Nina Kraviz, DJ Bone, DJ Stingray, Octo Octa, DJ Sprinkles, Jlin, Pharmakon, and many more. Apart from audiovisual performances, the festival offers an extensive day programme. Anyone can join talks and discussions with Unsound’s participants, which range in theme from current politics, musical revolutions, and ecological disasters to plants in art history and visions of a post-human world. There will be workshops on music journalism as well as everyday sexism. Those tired of dancing will be able to rest their bodies (but not minds) at daily film screenings. If you’re able not to lose your head among what’s on offer, grab your tickets now before they’re gone!